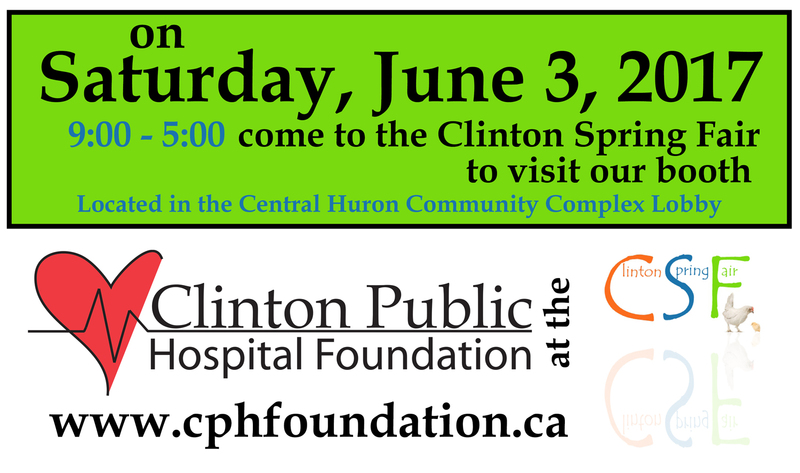 We are going to be at the Clinton Spring Fair on Saturday, June 3, 2017 from 9am until 5pm. Our booth will be located in the lobby at the Central Huron Community Complex, right next to the Clinton Public Hospital Auxiliary Booth. We will have information regarding upcoming events, fundraising efforts, donor recognition programs and so much more. We will also have tickets available for the Pineridge BBQ Chicken Dinner, which will take place at Clinton Raceway’s Legends Day on Sunday, July 30th. Between midway rides and livestock shows, be sure to pop by for a visit. We hope to see you there.